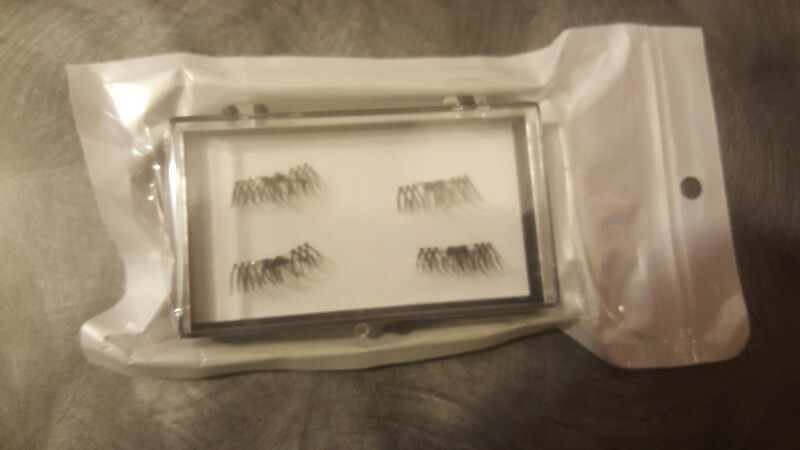 Being obsessed with all things beauty-related, I was very interested in the new trend of magnetic eyelashes. For those of you unfamiliar with the product, magnetic eyelashes are strip lashes that temporarily adhere to your own lashes, not with glue but with the scientific power of teeny-tiny magnets. You just sandwich your upper lash between the two strips, and there you have it — romantic, fluttery, long dark lashes that photograph like a dream! They are about half the length of a full strip of false lashes. So I took a chance and bought a few sets of an inexpensive, not original branded product. Surprisingly, they arrived from China within two weeks of ordering and I ripped open the package as soon as I could. I was met with a few strips of dark, elongated, somewhat curled manmade fibers stuck to several staples in a small, hinged, plastic box… highfalutin packaging this was not. But I was game, and interested in finding out if they would be as good as I hoped. The first time I attempted to place these, I had a heck of a time. One eye seemed ok, but then I couldn’t get the other side to match. So I would remove and try again. This went on for about 20 minutes. I tried using my fingers as well as a set of tweezers but it was troublesome. 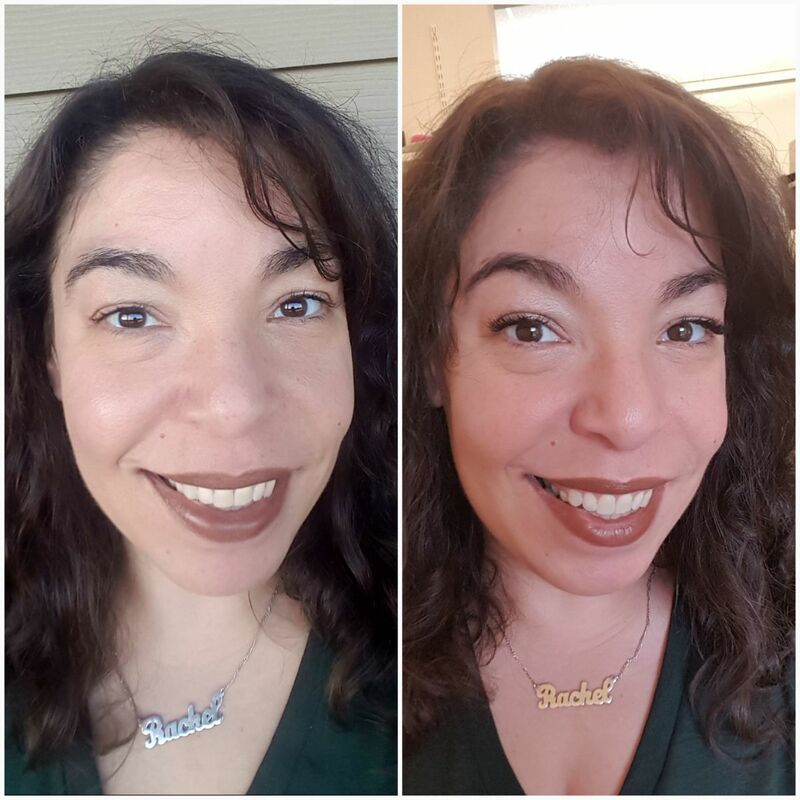 In sending the before-and-after pictures to family and friends, my very honest mom even mentioned that one side looked like I had a spider crawling on it. But the next day I had no trouble. It takes a little time to learn where to place these correctly. They are not the length of a full lash strip/full length of one’s eye and cannot bend due to the location of the magnet, which on these was smack in the middle. Therefore, the user must determine where to put them for the look they want. The pieces are manufactured to be placed toward the outer half of the eye, but even a smidgen too far to the outer corner results in an extreme doll-like, anime-esque style especially for someone with almond-shaped eyes like me – not exactly the look for which I was going. Be sure to place the magnetic lashes as close to the lash line as possible. Angle them slightly toward the outer corner of the eye for a more natural look. Once I figured out where to place them, I was really pleased with the outcome. By the third day I was able to situate them correctly the first time and thus ending up saving makeup time by not even needing to bother with eyeliner. 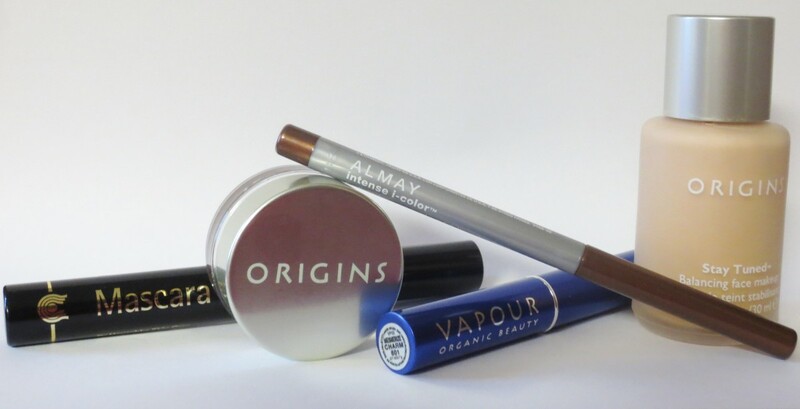 In fact, over the next week the lashes softened somewhat, making them easier to apply. I also have no problem removing them – I slide my fingers against them like I'm playing the world’s smallest violin and they come off with ease. But once on, they’re not going anywhere… even when I squeezed my eyes closed during a surprise sneezefest they didn’t feel like they would fly off. Once you master the application of these bad boys, wearing these lashes becomes really addicting. 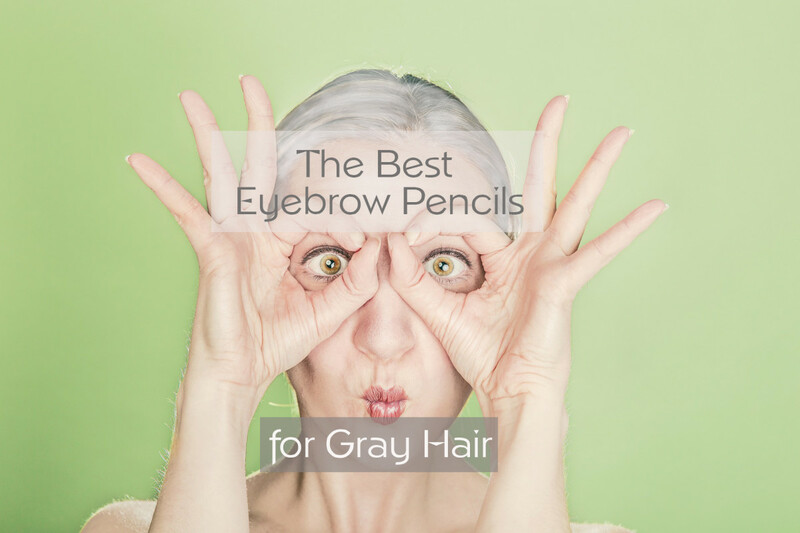 They add a mysterious layer to your look, even without any other eye makeup. 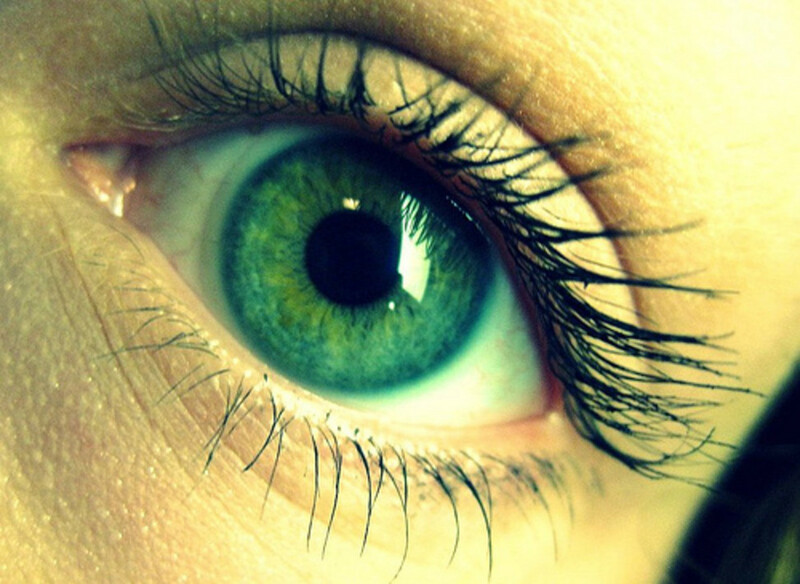 If eyes are the windows of the soul, then eyelashes are the draperies. And who wants boring drapes? I really love the way the magnetic lashes make my eyes look... larger and younger without any eyeliner. They give depth to my eyes without needing to apply or remove any itchy glue. In the hand, they obviously weigh almost nothing. Situated upon, however, there is a definite weight. 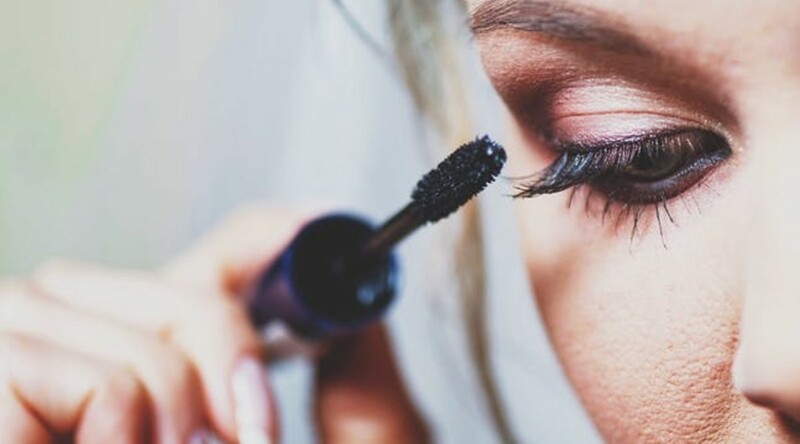 It’s not quite a drag on the eye, and not uncomfortable either, but you can definitely tell that there is something atop your natural lashes. I am also able to actually see the magnet above my eye. If I look up at the lashes, I can see what appears to be a heavy shadow. It’s a little distracting sometimes but not painful in any way, and unfortunately they didnt shield any of the sun's rays when I went outside. In fact, I was very concerned that the lashes would bump into my prescription sunglasses but was very happy to discover that there was plenty of clearance between the lashes and my lenses. At approximately $12 per set (the website where I bought them had a buy two, get one free deal) it was certainly worth it. However, they only came in one color (black) and one basic style. The originals come in three styles (original, bold, and accent) and they are significantly more expensive at two sets for about $70. However, now that I know how great the cheapies are, I will consider the nicer ones too, the next time I have enough funds in my beauty basket. In my opinion, a coat of mascara on one’s own lashes makes it easier to place the magnetic ones, so try both ways and see what you think. I’d love to hear about your experiences with these lashes. 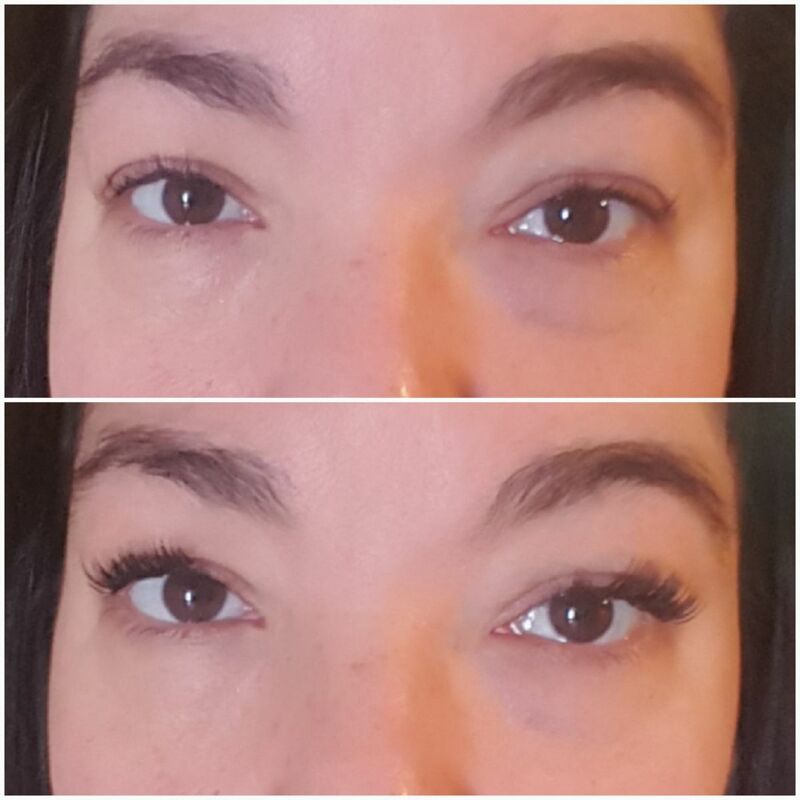 I also found that curling my natural lashes pre-mascara made the false lash application easier. Why not share your findings in the comments? I noticed on the originals that one magnet is placed in the center while its match is placed about a third of the way down the strip. In these knockoffs the magnet is directly in the middle of both the upper and lower strips. The originals also appear more graceful and natural looking due to the way they have been shaped and trimmed. I may play around with scissorwith this pair since I do have the extra sets after all, and because there seems to be a tiny bit of flip at the inner edge of the lashes that I think would improve the look if removed. At certain angles it does look like I have a double lash line because of the way the lashes curve, but it’s not unattractive. In addition, there are plenty of sites offering different styles, and I would love to mix and match sets... for example, one set of long thin with one set of shorter, thicker ones. I think a single strip of each could look pretty close to natural, if one had the funds and time to experiment. 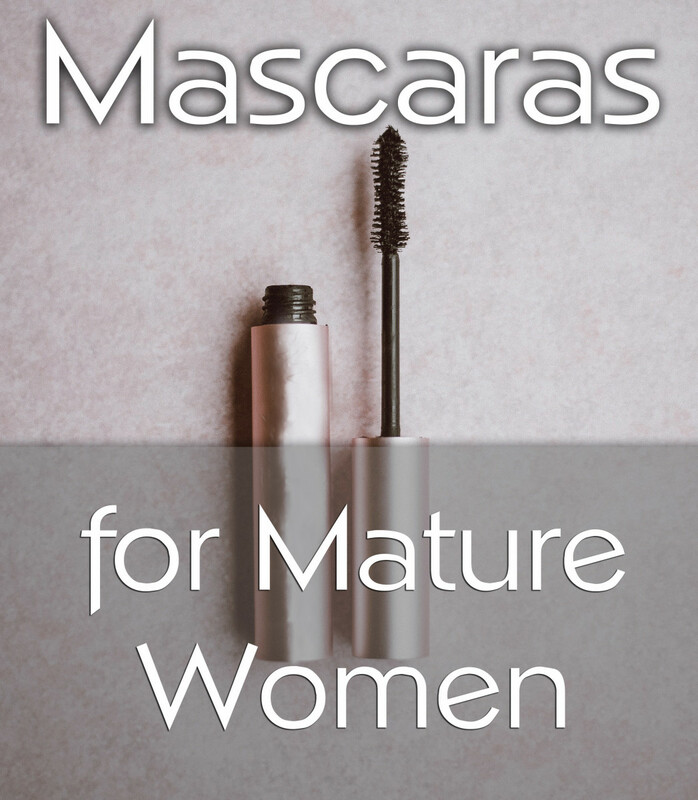 All in all, the magnetic lashes are a bit theatrical but a good use of beauty funds if you like a strong lash look and are tired of constantly fighting with that sticky, messy eyelash glue. 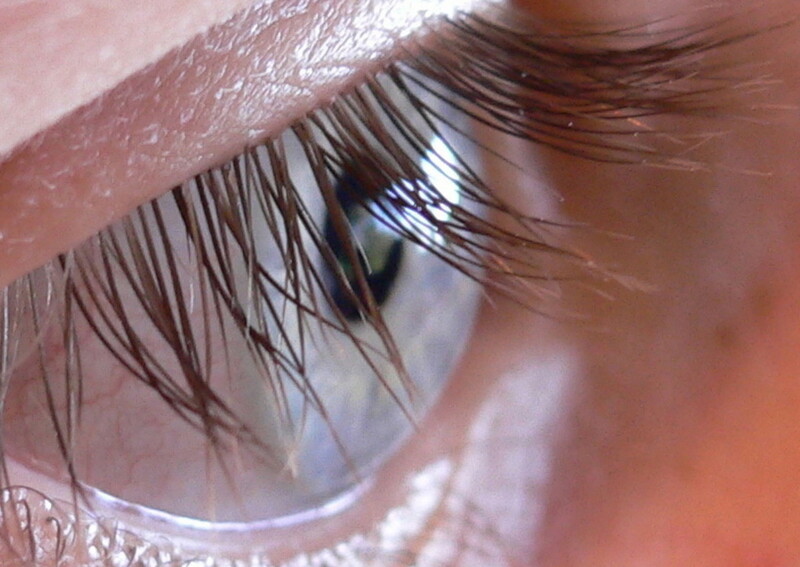 Would you wear magnetic eyelashes? Yes, I already own them! Yes, I would try them. No thank you, natural is best! Nah, I don't wear makeup. teaches! Is that really you? Long time no see. :) I hope the lashes work as well for you as they do for me. I had a terrible reaction to glue from applications. This may be worth a try for me. Thanks for the information shared from your experience. It gives me incentive to buy. I have been looking into these magnetic eyelashes for a few weeks now. Debating if I should get them or not. Reading this has convinced me to get them. Thank you for helping me make my mind up!